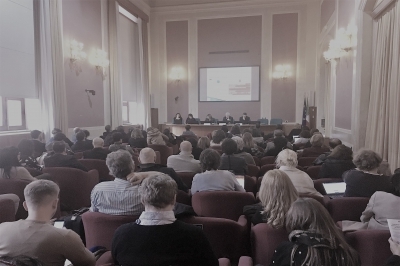 Starting with the new policy developments in Italy, the Italian Ministry of Education presented the progresses made in the framework of the ‘Buona Scuola’ Law that requires every student to access to 200/400hrs of a work-related experience in the last three years of upper secondary level. Driven by this revolution, student’s participation in JA Italy’s Company Programme has grown 38% in the last year, from 13,000 in the school year of 2015-2016 to 18,000 in 2016-2017, while the classes that have joined the project increased from 700 to 900 with over 1,000 teachers supporting students on this path. "Entrepreneurship Education, School-Work Exchange, and Apprenticeship are three core elements of our strategy in order to reconcile two worlds that in recent years have not been cooperating, the world of education and the world of work. With the new law, this year 1.15 million students will have a work-related experience while at school. While in the context of the School National Operating Plan (NOP) we foresee a number of measures to strengthen entrepreneurship skills and create networks of schools to improve students’ responsibility, ability to solve problems, teamwork and to develop critical thinking. Congratulations to Junior Achievement for the initiative and commitment in promoting the culture of entrepreneurship in schools", said Valeria Fedeli, Minister of Education in Italy. The event was also the occasion to present some preliminary findings of the "Innovation Cluster for Entrepreneurship Education" (ICEE) research in five countries (Belgium, Estonia, Finland, Italy, and Latvia). Support and recognition from authorities (national, regional, municipal) was presented as a key driver to increase the penetration rate of entrepreneurship activities while lack of time, funding, integration in curriculum seem to be the most common hindrances. The final results will be published in autumn 2017 and they will be an important stimulus and support to public policies which back entrepreneurship education. It was in this context that three EE-HUB experts presented the policy recommendations to the audience and further discussed its implications in a panel debate held afterwards. During the panel, Eliana Baruffi, chair of JA Italy, took the opportunity to launch the EE-HUB Italy, which is an interesting example of how EE-HUB’s value proposition can be taken up and replicated at national level. The EE-HUB Italy currently involves 17 partners working together under the leadership of JA Italy in the promotion of entrepreneurship education as a vehicle for the development of soft skills, fundamental not only to facilitate the access of young people into the world of work but also for an active citizenship. "The concrete collaboration between the business world and schools triggered by the School-Work Exchange programme will certainly lead to a big change and will open up new opportunities, but only if this will translate into quality partnerships. This is why JA Italy decided to launch EE-HUB Italy, which has already involved several companies and institutions. The HUB aims at evaluating and disseminating the most effective entrepreneurial education initiatives and ultimately develop a transversal curriculum to implement entrepreneurship education from primary to tertiary level", said Eliana Baruffi, chair of Junior Achievement Italy. Read more about the EE-HUB Italy HERE.